Addis Abeba, November 30/2017 – I wrote this article as a way to initiate a conversation on the issues of decolonizing education pertaining directly to the field of Ethiopian Studies. The main purpose of this opinion is to highlight the importance of making Ethiopian languages and ideas dominant in the field of Ethiopian Studies. Much of the knowledge on Africa has been produced from outside the continent and the methods that are used to study and represent the continent are rooted in colonial discourse. Similar to the rest of Africa, Ethiopia’s history seems to be significantly studied and written about from outside the country. Ethiopia had successfully fought off colonization and remained the single non-colonized sovereign country in Africa. Meaning, Europe had not been central to Ethiopian political, social or economic life as a result of its historical attachment in the continent. This gave Ethiopia the right and freedom to move on in history on its own right and speed, without the use of a European compass. But this did not happen. While ideals of modernization, human rights, ethnicity, development and nationalism engulfed Ethiopia’s educated class from the 20th century onward, through education Europe’s centrality in Ethiopian socio-political and economic thought would reach its completion. I attempt to present the case of scholarship presented about Ethiopians on a global stage and the problems that arise from the centering of Ethiopian studies around European ideals. One of the dilemmas of studying contemporary Africa is the issue of researching the continent with terms and ideologies that were born outside the continent and outside African languages. When the scramble for Africa began, and European powers needed legitimacy to push for colonization, Phrenological works and Social Darwinist ideas became central to this effort for legitimacy. 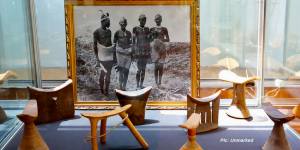 Consequently, in the early 20th century, ethnographic works developed which show the persistence of Eurocentric ideas in the research undertaken at the time. For example, structural functionalist anthropology that existed in pure form up to the 1930s and 1940s include scholars such as Malinowski and Edward Evan Evans-Pritchard who inscribed Africa into a literary colonial culture and legacy. Such works simplified cultures and societies; they operated on the assumption that cultures are bounded-entities that could be studied and limited to a single book. This simplification of cultures, among other issues, explained the simplification of Africans, their languages and their customs, convincing colonialists of the need to ‘civilize’ them. These works portrayed Africa as disease ridden, poverty-stricken, uncivilized, illiterate, and pagan, with Europe as its successful inverse. Though discourses of ‘Africa rising’ and ‘Ethiopian renaissance’ are slowly coming to the fore, the persistent image of Africa as a trouble-child traces its roots from the continuation of the image of pre-colonial Africa. Post-independence, most African states were called upon to “exercise all aspects of modern sovereignty at once”. From the 1960s up-to the 1980s, new independent African states tried to develop their countries autonomously based on ‘developmentalism’ and state socialism, but were dismantled later by the collapse of the USSR, US imperialism and influence of other prior colonizers in the 70s. From the 80s onward, structural adjustment plans enforced by the IMF and the World Bank forced most countries to open up their economies as well as several other sectors to the global market. There was no question to the premise that Africa must follow Europe. In addition to this, except for secession movements that later engulfed the continent, there were few who questioned the existence of the nation state as bound to borders, adopted from the Berlin-West Africa conference. In several ways, Europe remained central to the political, and socio-economic narrative of post-independence African countries. Europe as an idea has thus become an essential part of studying the African continent. It is, however, inadequate. The global significance of Europe is clear. But it is also important to acknowledge that non-European sources of knowledge, leadership, political and economic ideals are as significant and important in the African continent. In terms of knowledge production, this inevitable yet inadequate nature of Europe to study Africa has been recently challenged by decolonizing movements emerging from Africa as well as Europe itself. I do not refer to the colonial independence movements from the past, but student led movements such as the Rhodes Must Fall campaign, which originated at the University of Cape Town and spread to European universities such as Oxford, challenging the production, ownership and studying of Africa through the glorification of European ideas, and at times at the risk of ignoring the faults of these European scholars. I will proceed to present the complexities of studying Ethiopia and how even a country that allegedly wasn’t colonized needs to embark upon similar attempts at decolonization. Parallel to the anthropologists of pre-colonial Africa, Ethiopia has had its fair share of European scholars attempting to study it. (An example is Eike Haberland, who misrepresents and essentializes “the Galla” at a time when the Imperial Southern Marches were in full swing.) The difference is that as home-grown systems of Ethiopian education were not centered on Europe or done through European languages; they have had no place in Ethiopia’s scholarly world – i.e., until late 20th century. Further, Ethiopia’s sovereignty also led to its subsequent removal from contributing meaningfully to scholarship on African history, or African studies. Whereas, independence allowed Ethiopians to continue using their own languages to write, discuss, and evaluate their history, it also hindered the spread of their knowledge into other countries. The knowledge produced by most Ethiopian scholars is thus to-date limited to the nation. This means that subsequently, what Ethiopians write does not receive as much credit on the global scale because of the language barrier. Even if the narrative of their history, lives, and society differs vastly from common Eurocentric narratives, they are made voiceless because they do not write in English or French or say, German. It also goes the other way that Ethiopian scholars, to be read and to find jobs, have to write in English, or French. This spreads into the Institute of Ethiopian Studies, the most important secular institute of Ethiopian epistemology. One would assume, at least for the Ethiopian studies based in Ethiopia, that Ethiopian languages be at the front of the scholarship being produced about Ethiopia. But no, that is far from the reality. The trouble here is that the foundation of the Ethiopian Studies initially took place outside of Ethiopia, to this- Ullendorf accredits Hiob Ludolf as the founder of Ethiopian Studies, and its foundation in Ethiopia is accredited to Richard Pankhurst. While it is important to acknowledge the strides taken in the field of Ethiopian studies from abroad and with the contribution of foreign scholars, the critique of this paper is precisely that Ethiopians seem to have little agency in the institute that studies them and takes them as the center of analysis. While Hiob Ludolf must be noted in his opening of the IES in Europe, it should also be as commonly known that it was an Ethiopian monk who taught him what he knows about Ethiopia, namely Aba Gorgorious. Globally acclaimed works on Ethiopians are rarely written in Ethiopian languages. Languages carry culture and engraved with in them are the history, priorities, aspirations and fabric of the society they emerge from. Studying a society through the lens of foreign languages has troubling implications. Primarily, one will certainly fail to understand fully how a given society understands itself. Using European ideals and languages changes the basic way of how we understand ourselves; almost always, it forces us to accept that we are trying to be like Europe. It is why it may be necessary to also create room for Ethiopian, or other African ways of describing, labeling, and categorizing ideas. Ethiopian Studies in this regard has yet to face resistance from Ethiopians. The resistance I mention has several unanswered questions to it: primarily, what would a resistance look like in Ethiopian Studies and where could it get inspiration from? I am primarily discussing a break from the exclusion of Ethiopian languages in journals, publications, research and methodologies. Further, another problem is that Europeans having authority over scholarship produced about Ethiopia means that Ethiopians are constantly looking to the West as the source of Ethiopian knowledge. At what point does it become necessary to question where the agency and ownership of Ethiopians is in the knowledge produced about them? For example Ethiopia’s Axumite civilization is a key point on which foreign and vernacular narratives of Ethiopian history diverge, but where the European interpretation has dominated the field. Foreign scholars have stated boldly that indigenous Ethiopians were invaded by Arabians; which must explain why Ethiopians were able to design their own written forms of languages, and adopt Christianity among other aspects of their civilization. This narrative is singularly the most Euro-centrist way of studying Ethiopia. A land of black Africans who have achieved equal, if not greater, in their history stands to shake the core belief that white-Europe is the epitome of human civilization. Representing discomfort at all cost, Ethiopians are thus presented as not entirely black, with Arab features, and not appearing ‘African enough’. The silver lining of this is, ‘they must have been foreign to Africa. They could not have achieved this without foreigners helping them’. Such discourses continue in scholarship and engagement with Ethiopia today. One way scholarship on Ethiopian studies remains problematic is that a large number of non-Ethiopian Ethiopianist scholars do not wholly understand Ethiopian languages. Yet, most have been confident in their ability to translate, or write books based on works written in these same languages. The dilemma is precisely that there is an asymmetry of ignorance, the idea that students can study Africa through European ideals and languages but Europeans do not have to use African ideals and language to study the same continent. 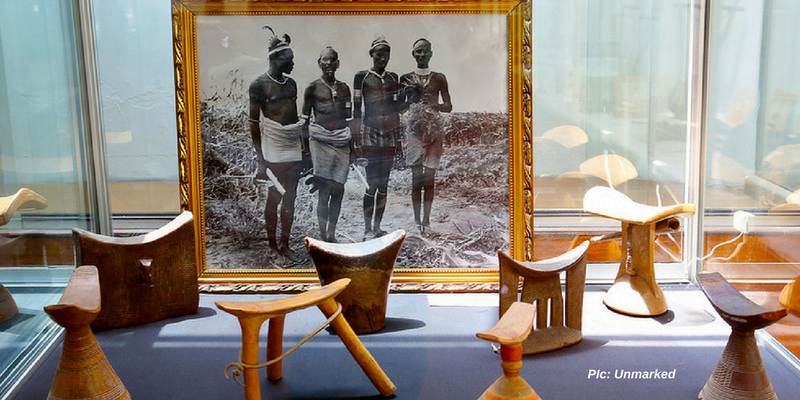 This allows for an unchecked interpretation of Ethiopian history, politics and society. Because of the global attention papers written in European languages get, it is now a trend to simply ignore Ethiopian scholarship. Further, not only is the product of Ethiopians disregarded, it trickles down to entirely disregarding the guardians of Ethiopian history, Ethiopians themselves. On numerous occasions, I have sat through discussions about Ethiopia with non Ethiopian scholars invited on the panels of globally influential institutes; with Ethiopianists who have little to no understanding of any of the country’s major languages and who boldly assert, at times, laughable claims about the country. For example, at an Oxford University seminar, a renowned European scholar confidently stated that the Ethiopian holiday Buhe was the equivalent of Halloween. What is apparent here is that Ethiopian scholars, both traditional and contemporary scholars, and Ethiopians themselves have been pushed to the margins of Ethiopian studies, forcing the scholarly work to revolve around European ideals, writers and scholars which is also vastly incomprehensible to the average Ethiopian. Shouldn’t Ethiopian Studies be attributed to Ethiopian scholars instead of Europeans (some of whom never even set foot in Ethiopia)? By this I mean, Ethiopian Studies Institutes should also strive to be understood as primarily shaped and influenced by Ethiopians and Ethiopian languages, feature more Ethiopians in directorial positions, encourage European scholars to learn Ethiopian languages and cite more Ethiopian scholars, encourage joint research projects with Ethiopians in the leading roles, translate all publications of Ethiopian Studies journals into Amharic and other languages, and provide open source and affordable access to research articles/books for Ethiopians in Ethiopia. What use is the Institute of Ethiopian Studies, if it remains primarily a European dominated field far removed from the lives of the subjects of the institute? This is of course a problem of the social sciences in the Western world in general; and a question I cannot answer in this article. What is the place of vernacular views in the ways Ethiopia is represented globally? Agreeably, there are barriers to the development and dominance of Ethiopian languages and ideas in Ethiopian studies. As a keen observer and Ethiopianist scholar, Michael Kebede posits, where should the decolonization effortbegin? Which institution? Should one language have primacy? How to allocate scarce resources between Ethiopia’s many languages? How to deal with the dominance of Amharic in Ethiopian-produced literature? Who will pay for the effort? Or is it a question of a redirection of existing resources? Is there a resource scarcity problem? Does funding decide the response to your proposal? Malinowski and Evans-Pritchard’s works are central in structural functionalist anthropology. Some of their works include, Argonauts of the Wesern Pacific, see Malinowski, Bronislaw, 1978, London : Routledge, Ebook 1978 and The Nuer, see Evans-Pritchard, E. E. (Edward Evan), Oxford University Press, Alexander Street Press, 1940, respectively. This discussion relies heavily on V. Y. Mudimbe’s The Invention of Africa: Gnosis, Philosophy, and the Order of Knowledge (Bloomington: Indiana University Press, 1988). Herbst, Jeffrey, States and Power in Africa: Comparative Lessons in Authority and Control, New Jersey: Princeton UP, 2000, p 130. Dipesh Chakrabarty, Provincializing Europe: Postcolonial Thought and Historical Difference Princeton, NJ: Princeton UP, 2000, p 4. Messay Kebede’s 2003 article is a work to consider reading if one wants to see how European scholars have, at times, through racist narratives tried to define Ethiopian history. Yirga Gelaw’s recent book Native Colonialism discusses this particular evolution of Eurocentrism in Ethiopian Studies, from the point of view of Ethiopian agency in this. Gelaw, Yirga. Native Colonialism. 2017. Red Sea Press. Kebede, Messay. ‘Eurocentrism and Ethiopian Historiography: Deconstructing Semitization’, Vol 1, No.1, 2003.